Children’s teeth require different considerations than an adult’s, so you need a dentist with child-specific experience. 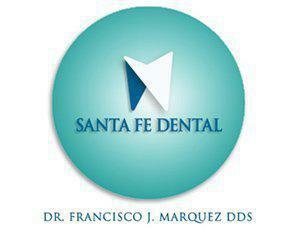 Francisco Marquez, DDS has treated children for years and adjusts his approach to their individual needs. If you’re looking for a dentist for your child in the Santa Fe Springs, California area, contact Santa Fe Dental online or by phone to schedule an appointment with Dr. Marquez. Adult teeth and baby teeth require distinct care. As a pediatric practitioner, Dr. Marquez focuses on the unique developmental needs of children’s teeth. He plays a significant role in the preventive care of your child’s teeth, helping you avoid unnecessary dental treatments in the future. Children’s teeth don’t have as many years of wear on them, so he focuses on keeping their teeth healthy into adulthood by starting them young. 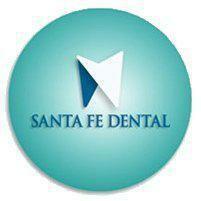 He offers fluoride treatments, sealants, and other treatments specific to children as their teeth are developing. Pediatric dentists also have to take a child’s emotional sensitivities into consideration. Children respond better to dentists who make their experience as pleasant as possible. Dr. Marquez is great with kids and goes to extra lengths to make them feel comfortable. Is regular dental care recommended for children? Children should start seeing the dentist as soon as they get their first tooth. By starting them young, Dr. Marquez can identify issues long before they become problematic. Routine visits also get your child used to seeing the dentist regularly. After 12 years old, your child should transition to adult dental care once they have all their permanent teeth. Dr. Marquez can assess the position of your child’s wisdom teeth, discuss dietary choices, and make orthodontic referrals at this time. Why is it important to take my child to the dentist? By performing routine exams and cleanings, Dr. Marquez helps establish healthy dental habits to prevent tooth decay and gum disease. He offers dietary and hygiene counseling to help your children take proper care of their smiles. Preventive care and early intervention promote the best dental outcomes later in life. Taking your children to the dentist at a young age also helps make these visits part of their routine. Getting them comfortable with going the dentist’s office sets the foundation for a lifetime of proper dental care. If you’re looking for a pediatric dentist in Santa Fe Springs, California, set up an appointment with Dr. Marquez online or by phone.